Oh, Beauty before me, Beauty behind me, Beauty to the right of me, Beauty to the left of me, Beauty above me, Beauty below me. I’m on the pollen path. I had the wonderful fortune to be part of a butterfly release at the Desert Botanical Garden recently. While the event will remain a life-long memory, the knowledge that I gained about some of our key pollinators will remain with me equally as long. One simple and easily-forgotten fact is that over the past 200 years, American farmers took painstaking care to document varieties of butterflies and other pollinators found in their landscapes. Not only did they leave records but they were also the best stewards of monarchs and other butterfly species because they intentionally created space for them by planting areas within their fields, orchards and agricultural settings. Today, many are surprised to learn that monarch butterflies, something that seems so much a part of our childhoods, may be moving towards extinction. One theory is that the numbers are declining due to the dependence on the milkweed plant. Milkweeds are a critical component of the monarch life cycle and random use of chemicals has eliminated an estimated 700 hundred million from American croplands in the past 15 years. The equation is simple; no milkweeds = no monarchs. Fortunately, there are things that can be done like restoring important ecosystems (aka milkweeds) to areas where destruction has occurred. In addition, there are progressive agribusinesses that are stepping up with practices of voluntary habitat recovery. Milkweed restoration work has begun within farms, botanical gardens and even in community gardens. This is important work that needs to occur in order to secure the future of the monarch but also for other important pollinators like butterflies and bees. In fact, by one study, more than half of America’s farmers are already engaged on improving wildlife habitat on private lands. This work simply needs to be extended to be inclusive of pollinators. There are several ways that we can all help save our pollinators. Take a look at this list and find something that you can do in your home. What actions can you take to participate in this important work? As a forager and lover of monarchs, I love to spread milkweed wherever I can. It is my very favorite wild vegetable. wild vegetable? do you eat it Kellyann? I need to plant some more in my yard. It is critical to their survival. I so agree Tandy. There is no image much happier than that of a flitting butterfly. Do you have monarchs? 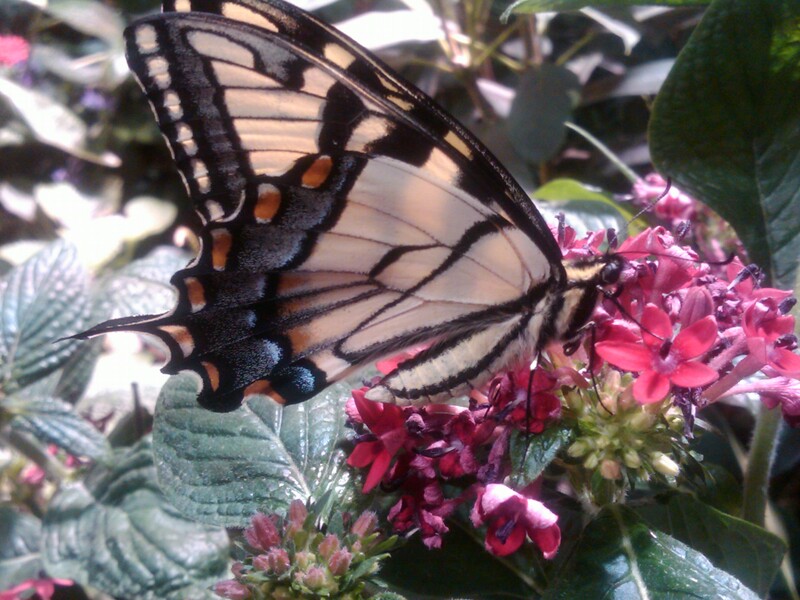 I plan to plant more flowers and plants that are butterfly friendly. We should all do that Lucinda! thanks for this, Tammy. I had heard that the monarch population was in serious decline, but that graph is really frightening. We will be moving much later this year. We plan on a planting a fruit orchard—we should add milkweed and other butterfly-friendly (feeding) plants to our garden. I love this Navajo poem. I have printed it and pinned it in my office. Poetry month is almost here! Thanks for appreciating everything Nancy. I love that you enjoy poetry and that you’re planting for the pollinators. What can you plant where you live that would help Charlie? What aft experience! I love butterflies but not on my vegetables in the allotment! ha! We need the butterflies in order to get our allotments! Thanks for that. I am thinking about ways to share the planting lists with commercial landscapers also. Beautiful, Tammy. How awesome to be part of the release at DBG. I know that about Monarchs and feel horrible about it. We need to get some milkweed in our yard. The release was spectacular – I’ll never forget it. And I am going to be planting some milkweed also.